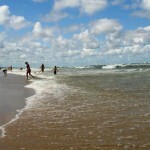 Along the peaceful coast of North Carolina sits a wonderful and tranquil coastal town known as Ocean Isle Beach. It offers its residents and guests pristine beaches, friendly community, nice weather, and beautiful scenery to name a few. One of many great things about this area is that it kept its family atmosphere. 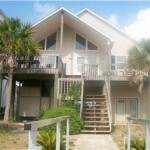 If you’re looking for a great place to live, check out Ocean Isle Beach real estate. Due to its friendly nature and endless activities for the whole family, it’s an ideal location for residential, vacation, second home, and retirement property. If you’re looking for a nice area to raise a family, you can’t beat Ocean Isle Beach real estate and all it offers. You can find a plethora of property from homes, condos, beach property, golf course condos, wilderness retreats, and more!